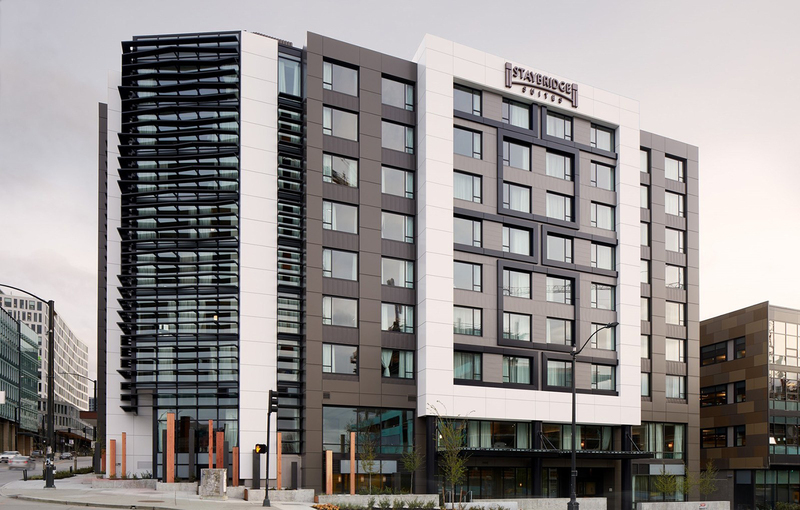 EVEN Hotel and Staybridge Suites have officially opened at 527 Fairview Ave. N. in South Lake Union. 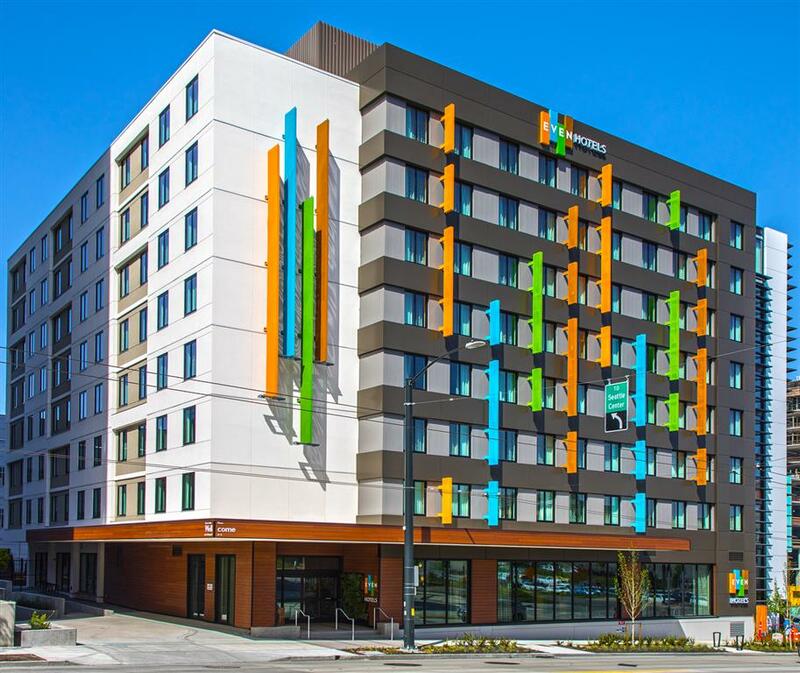 The nine-story, 235-room hotel is at the corner of Mercer Street, near the Interstate 5 ramps. Noble Investment Group was a partner in the project, which also includes Cork & Kale cafe, a gym, meeting space, amenities and 91 underground parking spaces. A Noble-related LLC bought the site in 2015 for almost $12.9 million from the Lowen family. Exxel Pacific was the general contractor. Architects were Murphy Varey PS and Jonathan Nehmer + Associates of Rockville, Maryland. The hotel replaced a warehouse once occupied by Ducky’s Office Furniture.